From today onwards, T-Mobile will no longer carry the 16GB pebble blue Samsung Galaxy S3 as they had officially replaced it with the titanium gray variant instead. Apart from the color itself, everything will remain the same including the price for the Galaxy S3. So if you’re fancy of the pebble blue Galaxy S3, you will have to purchase it from other retail stores or purchase the 32 GB variant from T-Mobile. 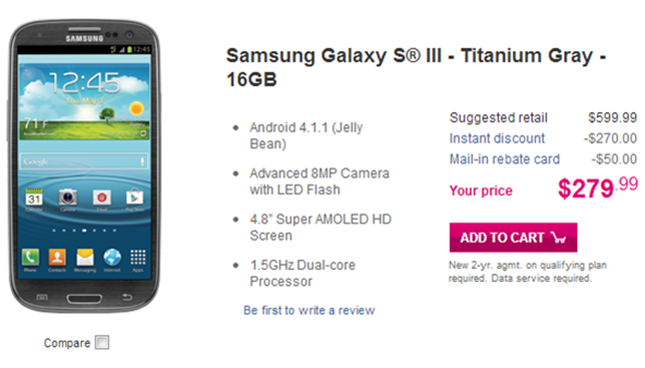 Will you be getting the Titanium gray Galaxy S3 from T-Mobile?